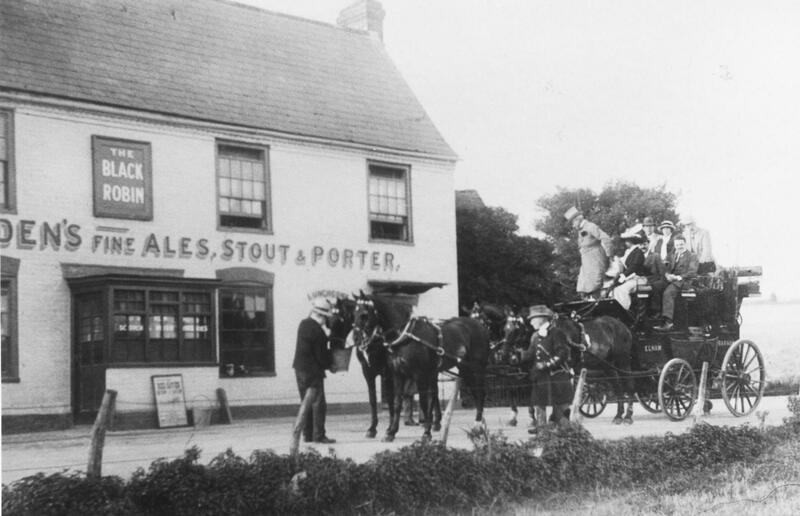 In the 1890's, James Scott, landlord of the "East Kent Arms" in Folkestone, operated a stage coach through the Elham Valley during the summer months. The coach is seen here outside the "Black Robin" at Kingston. Scott died tragically when his coach overturned on Derringstone Hill in the nearby village of Barham.